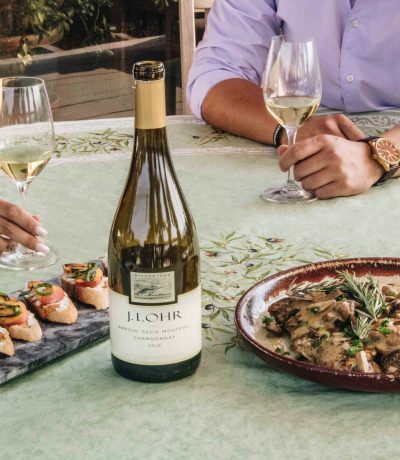 Ever since I moved to Napa Valley, people ask me almost every day where to wine and dine to get the best experience possible. 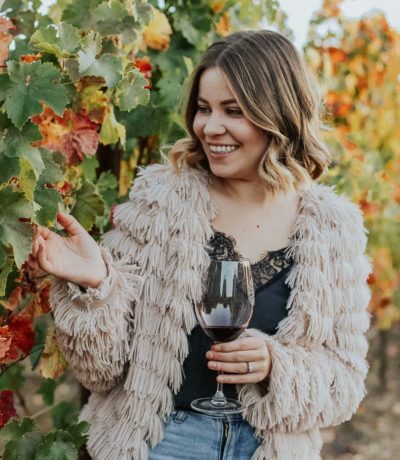 Although I still have plenty of places to discover, there’s a handful of those wineries that I already love stopping by AND coming back to. Those vineyards usually stand out to me because of many reasons. 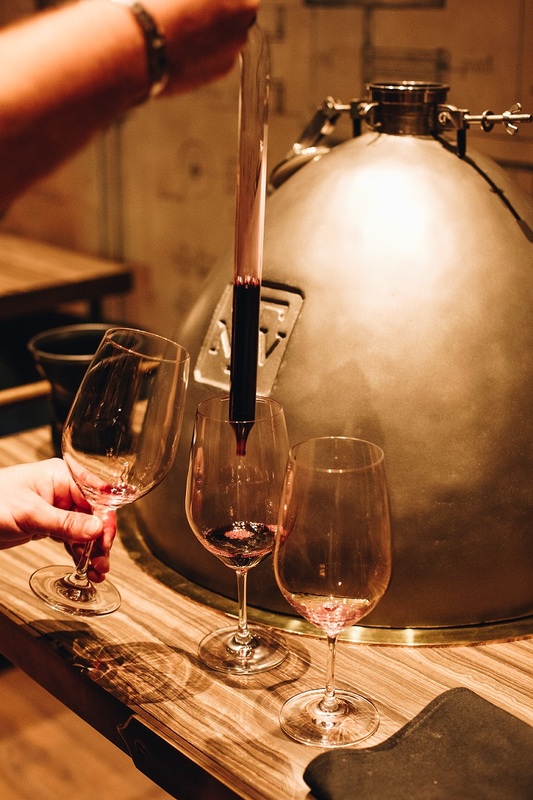 For example: What is my first impression as soon as I step into a winery (how you greet your guests counts), how personal of an experience I get, of course – the wines – and how much bang I can get out of my money. If you’re interested whether my latest discovery, the Trinchero Napa Valley (in Saint Helena) made that cut, please keep reading! A little history never hurt nobody. SO. 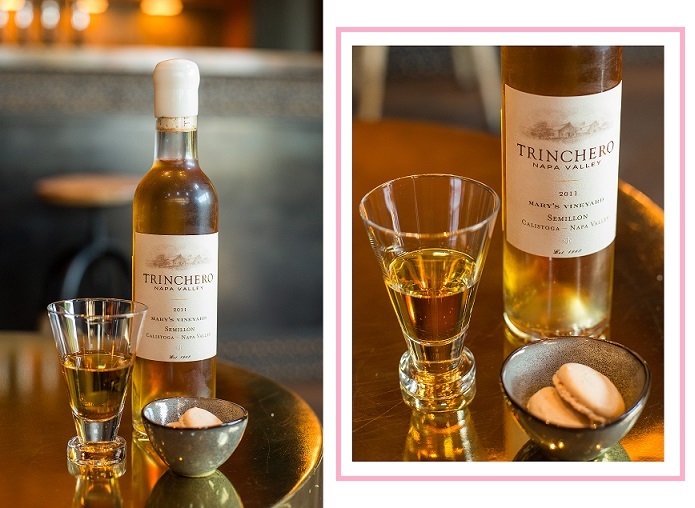 Trinchero’s beginning go back to 1948, when an Italian immigrant Mario Trinchero decided to leave NYC and build a better life for his family in Napa Valley. 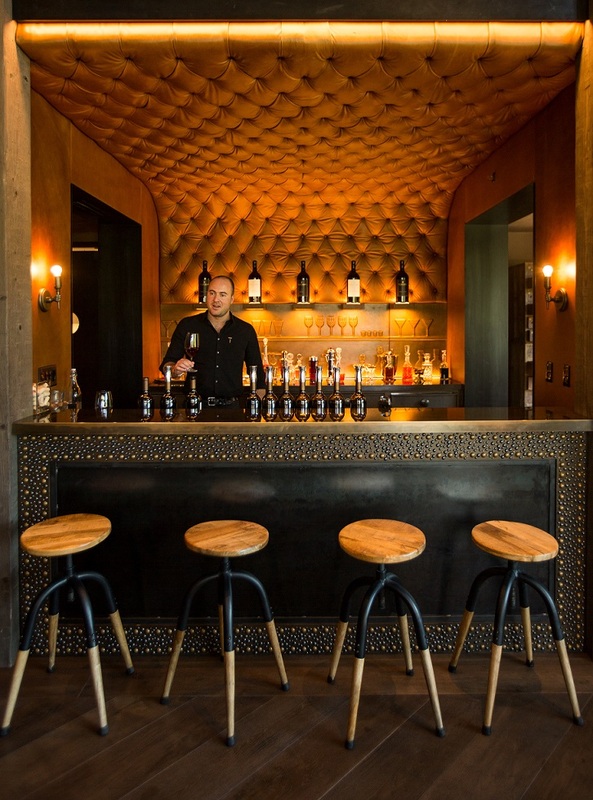 That’s when he purchased an abandoned Prohibition-era winery in Saint Helena. 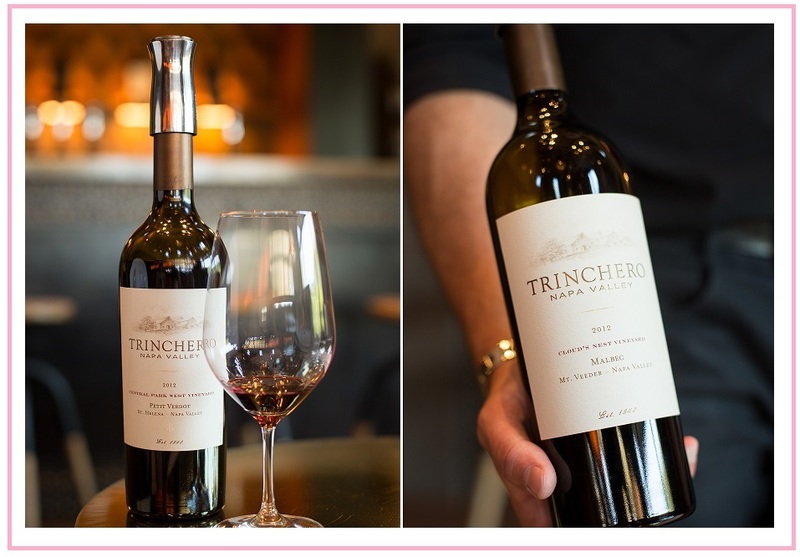 In the 1970s, Trinchero’s single-vineyard Zinfandel wines were getting more and more popular getting great reviews from wine critics, sommeliers and costumers. As soon me and my friend Devin (a wonderful photographer of the day for this project), stepped into the winery, we were very impressed with all the design details and finishes. 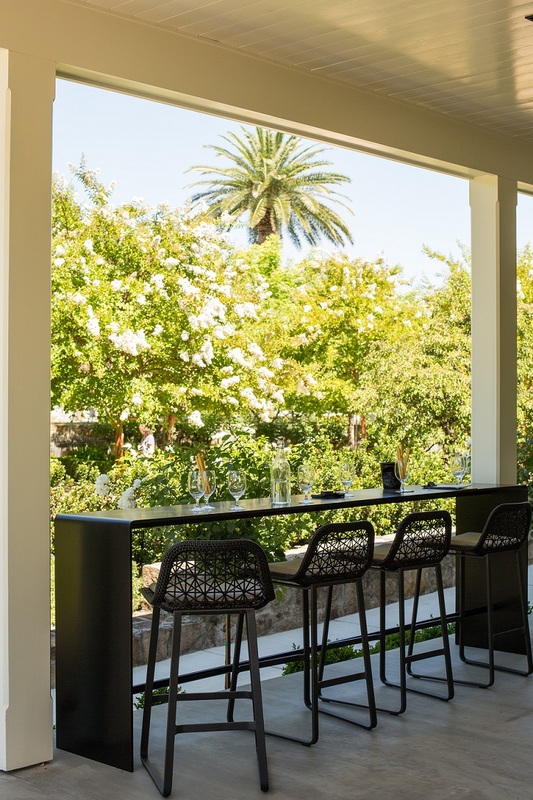 I quickly learned that Erin Martin, a local Napa Valley interior designer, was responsible for the somewhat recent Trinchero redesign. Needless to say, the first impression always counts and this was a good one! For our wine tasting, we ended up in the rather intimate room. At least that’s how it felt on a Sunday afternoon. I imagine it might get much busier on different occasions, so always take that into consideration when planning your visit. After sitting down, we kicked off our experience with a tasting of Mary’s Single Vineyard Sauvignon Blanc. It was a very crisp (I loved the fruit notes) and well-balanced start. 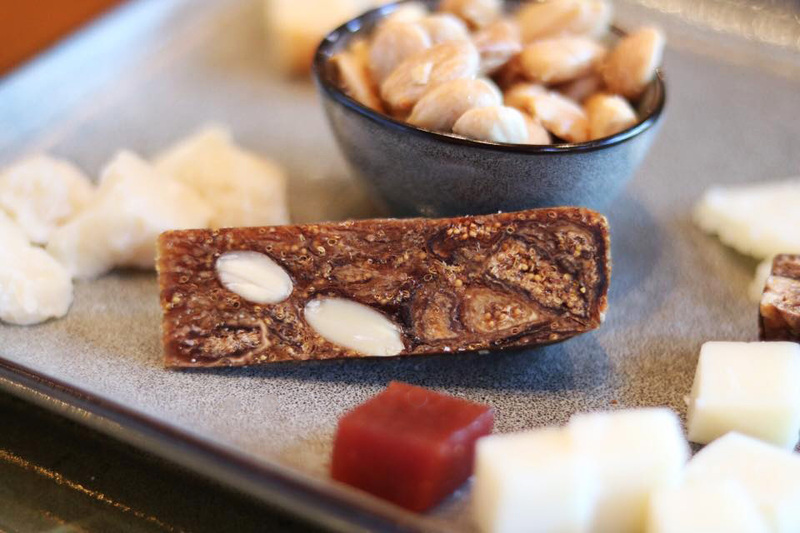 We also got a cheese plate curated by Executive Chef James Houghton to compliment our wine. Along came a delicious fig cake (my favorite), marcona almonds, olives and salami. Like I said, we were off to an amazing start. I also wanted to note that we were seated across from this amazing wine bar that I already teased on my Instagram a few weeks ago. Interesting fact: The leather finishes are original Italian materials delivered from Europe! Attention to details: Ah-mazing. You know I love finishing everything on a sweet note. 😉 Needless to say, tasting this 2011 Mary’s Vineyard Semillon paired with Almond Macaroons (baked on site) made me feel like I’m on cloud 9. Want to learn more about the production side of things and know what the future holds? Opt for this unique barrel tasting. It includes a preview of two wines from the upcoming 2016 vintage. A beautiful view from the Trinchero Family Estates overlooking the Mount Saint Helena. We all know wine tasting can be tiring, am I right? 😉 These gorgeous, floating lounge chairs welcome you to sit back and relax at the property. * Special thanks to Jenny Lucia for my makeup! 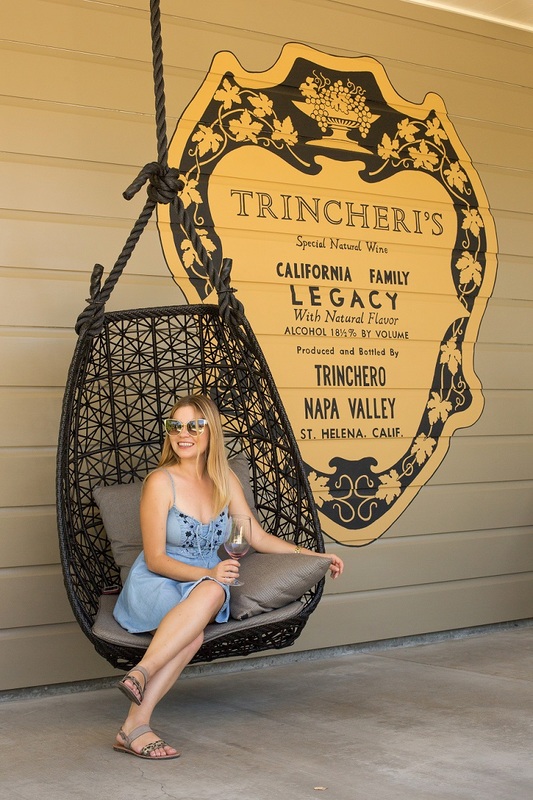 In conclusion, I give Trinchero Family Estates in Napa Valley an A + ! For more information on this winery, please visit this link. 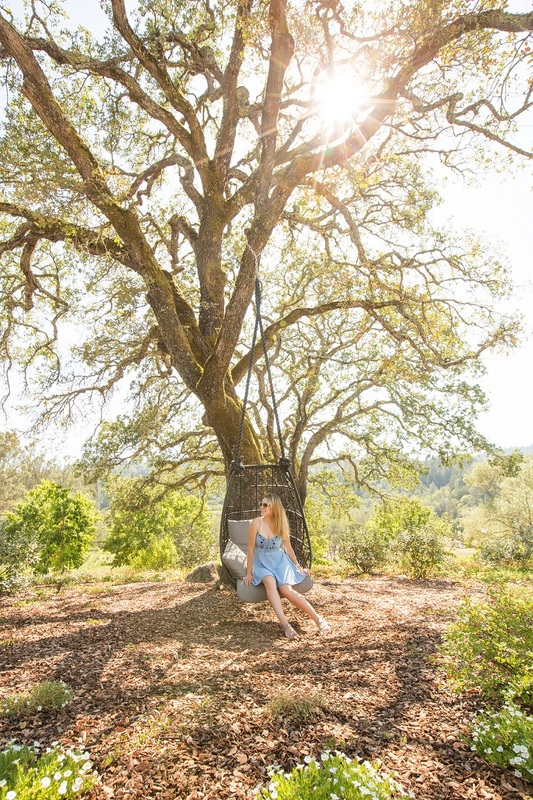 Want more insider looks and reviews of places in beautiful Napa Valley? Thank you Trinchero Family Estates for hosting us and sponsoring this post! I really love your dress! It is very cute and looks so comfy too! Thank you so much, Angelie! Looks like a really nice place. Love your dress by the way, so cute!